All information you submit to us will be used internally at Annapolitan Business Suites, LLC to help answer your inquiry or meet your needs. 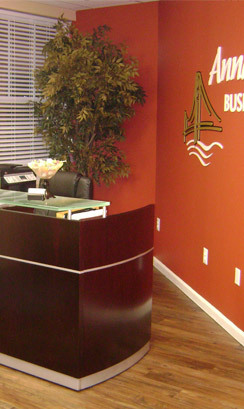 In the case of client information, we use the contact information of existing clients to inform them of changes and offers at Annapolitan Business Suites, LLC through direct e-mail. We cannot control the practices of sites linked to and from absannapolis.com. We will NEVER give your contact information or any related information you submit to Annapolitan Business Suites, LLC to a third party.